How Can I Reduce and Control Supplement Costs for My Horse? This is likely one of the most common questions on most horse owners’ minds. How can I reduce supplement costs, yet still maintain the level of health or soundness in my equine companion? It is a good question, but unfortunately one that is easier to answer in some horses compared to others. The bottom line is that there are options, but in many cases, we have to define what the problems are and target the sources. It is possible and likely more readily achieved than most realize. The horse is really no different than us, as humans. They are subject to the negativity of stress, being bullied, diet, environmental and even lifestyle influences. Each of these impacts their health on some level, positive or negative. In a recent discussion with an equine nutritionist, we both agreed that most metabolic problems evident in the horse, as an example, were really man-created through the diet and more so through environment. We both believed that if most of the metabolic equine patients were allowed to simply be a horse, many of the issues would be self resolving. With that being said, we, as owners and even veterinarians, are often in a vicious circle of chasing our own tails. We create one problem, then chase down the negative ramifications with a medication or a supplement. In reality, as an example, most cases of gastric ulcers in horses are environmentally and stress induced. Many horses are kept in stalls with little turnout or even socialization, which contributes to the multitude of health issues, but then we try to ‘fix’ or remedy these problems with supplements or medications, again, often chasing our own tail. This is what contributes to our expensive regimens as owners. It is true that many of these factors are beyond our control. As much as we’d love to have 100 acres of turnout for our horses, it just isn’t feasible. In many instances, our equine companions are kept in stalls for security and safety, which is understandable in some situations. This, I understand, and no judgements are being made, just observations. I think the biggest thing here is that we need to realize the limitations we place on our equine companions, which then can inflict negative consequences on their health. We have to accept the good with the bad, essentially, and I am no different with our personal herd of horses. Many horses owners are battling ongoing issues, whether if that is lameness, behavioral or otherwise. Instead of seeing the causes of the problem and making adjusments if possible, we opt to deal with the consequences. This often entails a high load of medications being used with the most common being anti-ulcer pharmaceuticals and next being steroids, either by injection or orally. Aside from these medications, many owners opt to utilize a high load of supplements from vitamin/mineral blends, to fortified feeds, to joint supplement, hair/hoof supplements, tendon support and even probiotics. It is alarming to me, often times, to see the high load of supplements that are being used, with many mirroring each other, essentially overkill in many aspects, but yet ironically still not providing benefits to that patient, more so done out of habit. The cost to maintain a horse can be high and it is not something that is recommended to most individuals, especially when we add in routine veterinary and farrier care. During consultations, many owners are continuing to have problems despite special feeds and/or high supplement usage. One observation that I have made over the years is that if this horse is continuing to have problems, despite that regimen, then we need to step back, regroup and really start over again with a clean slate. Taking a new approach is often something that is difficult for most, as they are reluctant to abandon their current regimen out of habit, despite the lack of results. It is almost as if the owner is fearful that the sky will fall if they do not use that particular supplement or even feed. It is true that caring for a horse is expensive and many, if cared for properly in regard to diet and lifestyle, do not require any supplementation. The ones that require special attention are those that are at higher risk, due to environmental factors, discipline, training, competition or dietary deficits. Now, they do require more care, but to what level? Do we need 12 different supplements each day, with many of those overlapping one another? Do we really need that special feed or could we opt to not use grain or maybe simplify that grain regimen, more so utlizing whole food nutrition as it should be? I have come to discover that despite the level of discipline that that particular horse may be engaged in, no matter how valuable that animal may be and no matter what level of injury or health condition they may be experiencing, the simpler the regimen, the better the results. In order to reduce expenses, when it comes to a supplement regimen, we need to ask one important question. How is the horse responding to the current regimen? If the answer to this is favorable, all is well with your horse and both parties are content, then what needs to be done is to try to reduce that regimen, hone in on the vital and most important supplements. This is often done by eliminating one supplement at a time, slowly, and evaluating for impact over a few days time. We generally do not need weeks, but a few days is usually sufficient. During this evaluation time, we have to keep in mind supplement overlap, not only in ingredients, but also in mode of action. Sometimes we have a supplement that is benefitting more than one area of health, despite being labeled for a specific issue. If the answer is not favorable, implying that problems still exist, then in these cases, I usually wipe that slate clean, eliminating all supplements and even modifying the feed/diet regimen. This allows me to truly see how that patient is doing and in some cases, various feeds and/or supplements can actually antagonize the current health or lameness situation. Many times, we do not need that vitamin/mineral supplement, that ‘hoof’ supplement or even that ‘coat’ supplement, if we are managing processes correctly internally and taking advantage of a proper diet. In the case of our Cur-OST formulas, we have two distinct purposes or goals with that patient; modulate the inflammatory process and support the immune response. This is our goal and often what is at the root of every health and lameness condition in the horse. In many cases, by modifying these two cellular pathways, along with a good diet, we can positively impact many health problems at the same time. Diet plays a huge role as nutrition is the key to cellular health, on a level of inflammation, immune response and overall healing, not to mention stamina. Unfortunately, it is something that is often overlooked and replaced with supplements. The end results are usually not the same. Almost every patient can benefit tremendously, if we take these simple approaches. In the 20 plus years of working and researching horses, I have come to realize that first, the simpler the better and second, sometimes we can kill with kindness and good intentions. In many cases, dependent on the level of healthcare or lameness issue, we may need a more complicated approach at least initially in regards to diet and targeted supplements. We have to remember that these conditions did not develop overnight and in many instances, there is a tremendous amount of damage done to the body, which may or may not be improved. We have limitations and those limitations are a fact of life, influenced and produced by us in the long term. Now, that approach may involve 2 or even 3 targeted supplements initially, but as that body responds, as it begins to heal and recover, we can often change that regimen to further benefit that patient while reducing our costs. Often times, we have horses in rehab that are admitted on special feeds and a host of supplements. The regimen is not working, plain and simple. One of the first steps we do is to change that diet, simplify it, focusing on whole food nutrition. In almost all situations, I eliminate the supplements from the regimen, starting with a clean slate, but we also allow that horse to be a horse, get some pasture time, outdoor time and just be a horse. I view this as a ‘detox’ period for that animal and allows me, as a veterinarian, to get a clean view on what is truly going on. When we have a horse on multiple supplements and medications, the picture can be cloudy as to what the problem really is. 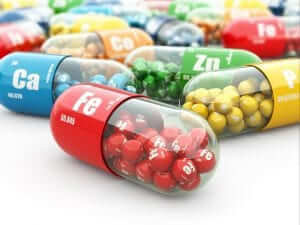 In some cases, the combinations of supplements and/or medications can actually create or worsen problems. Many times, the patient actually improves, just by the diet change and elimination of supplements that they were being given. It is quite amazing honestly and shows how sometimes we can actually ‘kill’ with too much kindness. After a few days, we can begin to see the problem and then we focus in on it, via the pathways involved. We have a purpose, a reason for every Cur-OST formula that we chose and use for that patient. In most cases, the patients are quite improved in 30 days, being discharged after battling that problem for years. At the time of discharge, I try to move from the expensive initial regimen to a more simpler approach, based on the patient’s progress. This may be accomplished in the first 60-90 days post discharge, while in others, it may take longer, or may never be possible. It is dependent on that patient and the degree of damage done by the body, including outside contributors in that patient’s diet and environment. I don’t chase down those lingering problems with medications or joint injections, as more often than not, those medications and approaches are what led us to where we are today. Those medications covered up that joint deterioration, until one day they didn’t. Now, we have a mess to clean up, which we can’t reverse, but it certainly creates a challenge in managing sometimes. Time is more often what we need in these more complex cases. So, the approach doesn’t have to be complicated. If we have a horse that is responding to a higher level Cur-OST formula or regimen for a joint or tendon issue or even allergy, we have a few options if that path becomes cost prohibitive. First, if we have an ongoing tendon injury in a horse, we have to evaluate all players in the game. We can improve our odds of success if we address diet, exercise and even evaluating the foot for imbalances that have contributed. In regards to supplements, our goal is to modify that inflammatory and immune response. In these cases, let’s say we use the Cur-OST EQ Plus combined with the Cur-OST EQ Immune formula, for 60 days continuously. After this period the horse has hopefully responded nicely, often in less than 30 days. At the 60 day mark, we generally will back that patient down to just the EQ Plus formula for daily use to further balance the inflammatory response. In some, dependent on level of use and demands, the horse may actually respond well to the Cur-OST EQ Green formula, which still helps us to balance the inflammatory response and even has some nutritive benefits. If we are able to do this, it will reduce cost tremendously, while still allowing us to help that animal. Of course, this is dependent on the level of the condition within that animal, but one never knows until we try. Some can be backed down in their regimen, others cannot, again dependent on condition, degree or level of damage and other contributing factors. Second, if we have a chronic COPD patient, as another example. Here, we would generally opt for our Cur-OST EQ Total Support combined with the Cur-OST EQ Immune formula, again for 60 days. After this time period, most are doing quite well, which we will usually drop back to just using the EQ Total on a daily basis, along with good nutrition and environmental changes. If this is not feasible, but the patient is doing well, we may be able to drop that patient back to just the Cur-OST EQ Green and maintain, especially during the allergy ‘off season’. Some can accomplish this, while others require a higher level of care. Many of our personal horses, which are all donations due to injury, are either currently on or have been on complicated and expensive regimens. In those matters, I have no choice as I accepted the horse with the level of injury. However, over time, most can be reduced back down to a simple and less expensive regimen, either by moving to a less expensive Cur-OST formula or by reducing the dose of their current formulas. Some need multiple formulas on a daily basis for various reasons, but I have found that in many, especially after that condition is controlled, we can cut the dose required of each of the formulas and still maintain. Especially if other factors such as diet and lifestyle are altered, including proper foot care. Owning a horse is inherently expensive, especially when it comes to health and soundness. However, with the right approach, taking all factors into consideration, the regimen for that particular horse does not have to be complicated nor expensive. More times than not, I encounter owners that had an expensive regimen that was working, but instead of backing down on dose or moving to a less expensive version, they moved to an entirely different supplement regimen hoping to save money, yet gain the same results. In some cases, this works, but in most it does not in my experience. First, we must define the problem, identify the factors that are contributors, then manage them in a targeted manner. If we can do this and succeed, then we need to hone that regimen back, with all factors still in play, to find the most effective and economical solution for our equine companion. It can be done and is done everyday! We are here to help!